09.30 Parish Communion (a sung eucharist) or occasionally an All Age Service (a family friendly service) If the latter, there is no Together at eleven service. In between the 09.30 and 11.00 services coffee, tea, squash with hot and cold bites are served in the church hall for everybody. 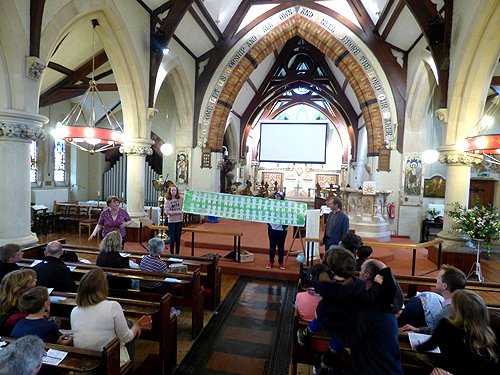 Throughout the Church Year, the Sunday Parish Communion celebrates special festivals or days. 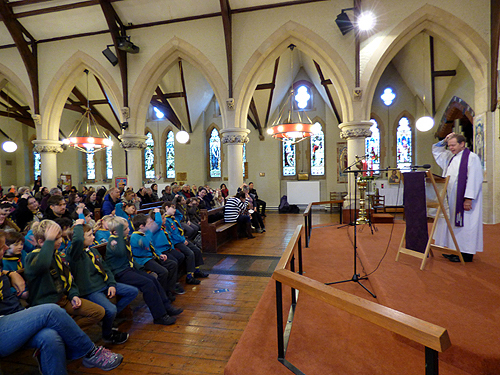 Music plays an important part during the Sunday services, particularly on these special days. 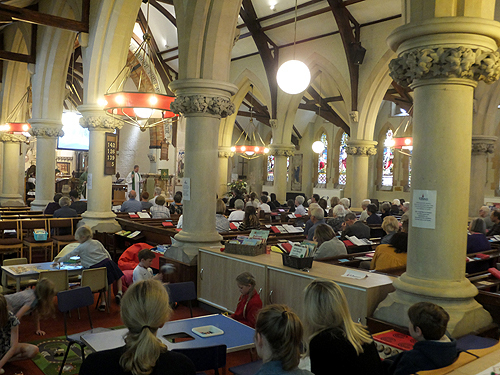 From time to time there are also additional services, including Churches Together Around Hampton putting on a Songs of Praise service in St James's, when congregation members chose their favourite hymns to sing. Another example is the Pet Service, giving thanks to God for all the animals around us. Here pets of all kinds are brought into church for a blessing and the service includes songs, stories and prayers followed by both pets and owners enjoyed some refreshments.